edrun is called Muster in Romansh, the local language. It is in the municipality of Tujetsch where one of the two souces of the Rhine is located. 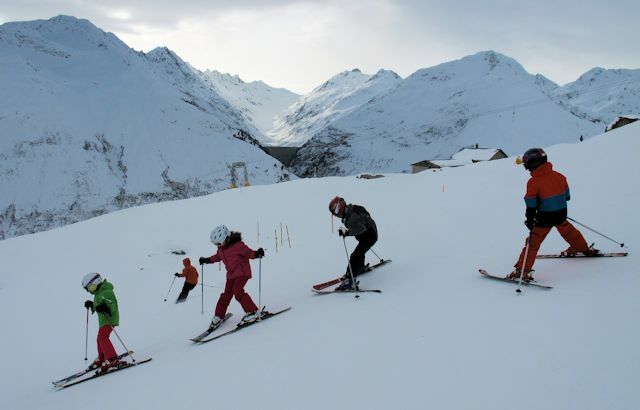 It shares the Gotthard Oberalp lift pass with Andermatt in canton Uri, although the ski area is on the other side of the Oberalppass and is nearer to Disentis. 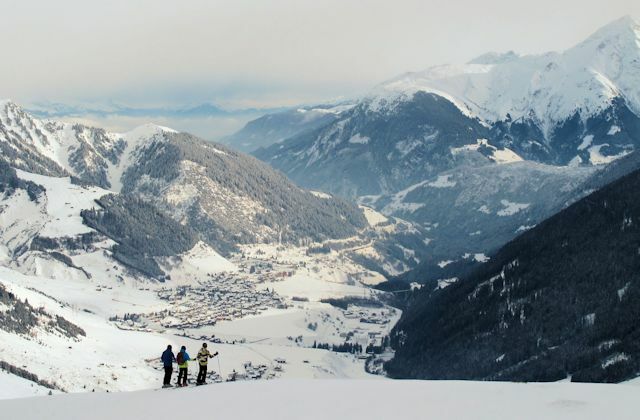 There are some great slopes with good verticals, varied off-piste and good beginners areas (in the village itself). The main lifts for the larger ski area are just outside the village at Dieni, two stops towards Andermatt on the train. 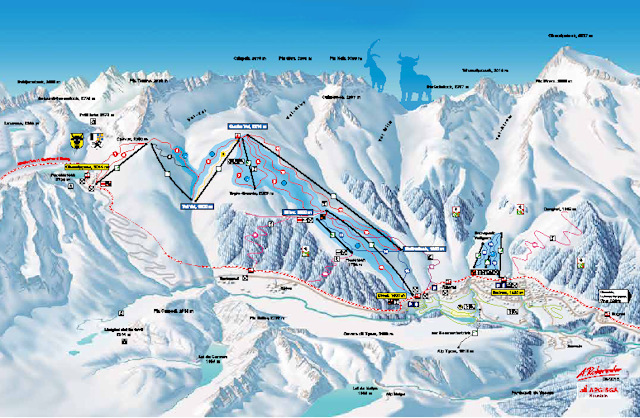 The expansion of Andermatt includes the construction of three new lifts joining the runs at Sedrun with those in the Nätschen ski area in Andermatt but currently the only way to get between the two resorts is by the Matterhorn Gotthard Bahn rail service. Sedrun is particularly popular with families. The Matterhorn Gotthard Bahn is a narrow gauge railway that runs from Disentis, a few kilometres up the Rhine valley from Sedrun, through Sedrun and Andermatt and on to Brig and Zermatt, taking in some of the most spectacular ski resorts in the world. Sedrun is also the nearest village to the source of the Rhine. The best destination to access the downhill slopes by public transport in this ski area is Dieni. Choose destination and exchange voucher at Göschenen. Lift pass is good for onward rail connection to Dieni. The resort operates the Snow'n'Rail scheme, providing a 20% discount on the combined travel ticket and lift pass. From Zurich the least travel time is 2 hrs 53 mins with as few as 2 changes going via Goschenen / Andermatt. Typically, an adult one day combined ticket is 111.20 SFr, reduced to 80.80 SFr with a Half-Price card. From Basel the least travel time is 4 hrs 02 mins with as few as 2 changes going via Goschenen / Andermatt. Typically, an adult one day combined ticket is 145.60 SFr, reduced to 96.80 SFr with a Half-Price card. From Luzern an adult one day combined ticket is 97.60 SFr, or 72.80 SFr with a Half-Price card. Indicative prices are for travel to Göschenen. Click here to find prices for other destinations. Under the combined ticket scheme the additional charge for a two day pass is 39.20 SFr. The road distance from Zurich is around 186 km and the journey time is roughly 2 hrs 30 mins. The road distance from Basel is around 271 km and the journey time is roughly 3 hrs 20 mins. The road distance from Berne is around 312 km and the journey time is roughly 3 hrs 50 mins. The road distance from Geneva is around 475 km and the journey time is roughly 5 hrs 30 mins. 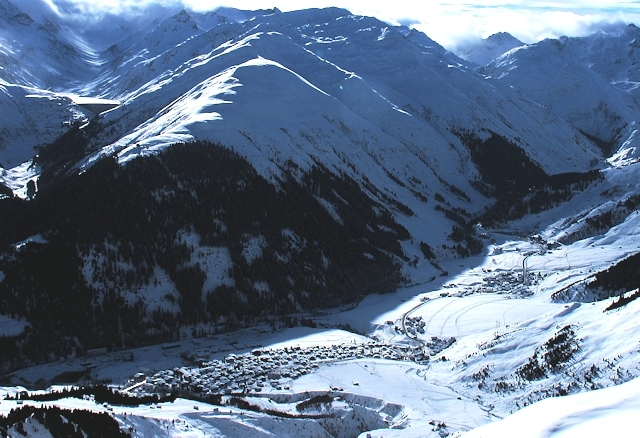 Nearby destinations in the region include Andermatt and Disentis. $$$ Hotel Aurora, Andermatt (3*) Handy for the Gemsstock lift. $$$ The River House Boutique Hotel, Andermatt Highly regarded ecohotel ranked #1 in Andermatt by TripAdvisor .